It’s time to look at a recent app game that was getting a lot of hype when it was coming out. 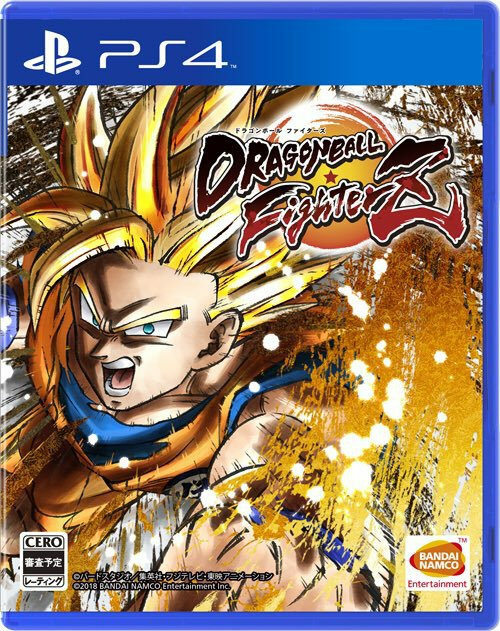 Finally, Dragon Ball was getting a big fighting game that would take the world by storm. It felt like this was a long time coming. After playing the game for a while, I can definitely say that there is more to it than a lot of other titles. It still does have some limitations of course and is rather slow paced as you can expect from a game that will try to drag itself out for a few years, but it’s a solid way to spend some time and continue the story from Super. The plot follows a Saiyan named Shallot. He has amnesia which is always a convenient plot device since this way he can start off rather weak and grow stronger as the game progresses. He doesn’t know what is happening, but fortunately Beerus is here to explain. There is a big tournament going on that spans all of time. Fighters have been brought over from every era in order to participate. The intent is to see who the strongest of all is…in theory. Actually, Beerus is being forced to do this by an unknown villain who has kidnapped the Supreme Kai. He wants us to figure out who is pulling the strings, but honestly that sounds rather difficult if this guy decides not to enter the tournament. Don’t focus on the plot too much I guess. Shallot is on board so he will now team up with Bulma from the original Dragon Ball series as well as Jaco to try and win this thing. The reason why the OP Super versions of the characters were not brought into the mix is because the villain is apparently keeping tabs on them so Beerus doesn’t dare approach. Of course, you may be wondering why they haven’t just shown up yet anyway as they one shot everyone. So far we have only been running across guys from Arc 1 of DBZ so surely they wouldn’t be much of an obstacle. The in universe reason may be that the place is simply so massive that you can have a bunch of battles going on at once, but out of universe it’s just that the game wants to trickle in the characters arc by arc. I hope they speed it up a little though because it feels like otherwise this will be one of those games that dies out long before it hits the final arc. Shallot is a decent enough character even if he is pretty rude the whole time. He’s constantly yelling at everyone and can’t seem to really grasp the concept of power levels. Since he couldn’t even beat Nappa at first, what makes him think that he can take on someone like Beerus? There’s being confident and then there’s just putting up a weak front. His Zenkai Boosts are fairly good though as he went from Raditz level to Zarbon in a single part. Maybe by the end of the second part he will be up to Final Form Frieza or something. That would definitely be neat. We also have the rival character who shows up for a bit. He’s an interesting figure who is more of a specialist than a fighter. He can teleport and use various magical spells to complement his sword based fighting style. He ran off though and I don’t recall his name at the moment, but I’m sure that we haven’t seen the last of him. There is also Dark Shallot who shows up near the end. It seems that he might be the future version of the normal Shallot so that will make for a fun match. He’s considerably stronger than the heroic version which is to be expected, but fortunately Goku put him in his place. 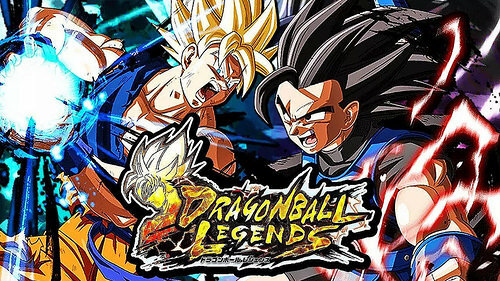 Since this is Super Goku he should be leagues stronger than any of these fighters. The graphics are pretty good and the game certainly put a lot of effort into them. The opening cinematic is excellent and wouldn’t look out of place in a big budget title. The gameplay animations are smooth and the character models are on point. Meanwhile the soundtrack is a little weak, but hopefully they will add more tunes soon. Mobile games don’t tend to have a lot of them, but I’d certainly like to see that. Then we come to the gameplay. It is your typical tap fighter, but with a few extra gameplay wrinkles to make it more unique. You are given some cards during the battle. They come in 4 types, punches, ki blasts, special attack, and status change. They are fairly explanatory, but once you get hit by the punch or ki blast you are stuck in hit stun and must eat a full combo. Each fighter has 100 energy so if you get hit by the first combo and they have 3 more cards with energy totaling less than what they have left you must eat 4 combos in a row. You can potentially beat an opponent in one shot like this. Most fights are 3 on 3 so use your strategy here. Do you want to use your combo right away or save it until the final fighter? Then you’ve got burst rush which is essentially a one hit KO attack in most circumstances. You only get 1 per battle so use it wisely. Then you’ve got dodging and character specific abilities which don’t need cards. There’s a lot to master here so try to get used to it all. I definitely find the gameplay pretty fun. It’s probably the closest thing we’ll ever get to a true 3D fighter on the mobile since there is no control stick to use. Your character levels also matter quite a lot here. Each character can go up to level 1000 and at that level your attacks do massive damage. There is almost no way for a weaker fighter to beat a stronger one if the gap is wide enough and your levels stick with you online as opposed to other games. At the moment I am 10-0 online, but most of my opponents were bots. Supposedly that issue was fixed today so I imagine my win rate would drop if I went back. Maxing out anyone will take a long time unless you pay since materials and Zenny don’t just grow on trees. Of course if you play the game enough then of course you can speed up the process. As far as the game modes go you have the main story and PVP. You also have mini stories that follow the DBZ anime without the OC character (Up to Nappa at the moment) and daily missions you can complete for extra energy and characters. There are also Adventures where you send a character off for a few hours and they bring you back items in return. Then we have actual Missions where you get rewards for completing objectives. There are even more modes in store for you but that’s the general premise. When it comes to replay value this game is basically infinite but of course it can also be easy to burn yourself out if you play it too hard. Now that I’m caught up with the story I’ve dialed it back a bit like with Sonic Forces. That game eventually died completely but this one should at least live as much as Fire Emblem Heroes until the story is over. I just check in every other week to play the latest story although in Dragon Ball I’ll try to at least keep the daily streak alive for the items and keep sending my guys off to train to get the easy level ups. Finally, I have to give the game some props for how they handle reused fighters. In Fire Emblem Heroes it’s annoying to get an old hero because it is basically worthless. You just have to trash the fighter for a few feathers, but you need 20000 to actually have something to use them on. Here the copies help to limit break your character. It’s possible that once the character is maxed then the copy won’t be of any use, but at least I feel like it’ll be a long while before that happens. There are also many parts of the game that I still don’t understand and likely won’t, but people who love to find out everything will have a blast studying this game. This game certainly got quite a lot of hype back in the day and I put in the pre-order for it right away. Fighting games are typically excellent and this one was going to be by ArcSys so it already had the seal of quality on it. While we had the Dragon Ball Budokai games back in the day, we never had a really fast paced 2D fighter for the series until now. It lives up to the hype and I’d definitely say that the company put a lot of effort into this title. There are many easter eggs and the dialogue between the fighters for each match is perfect. There’s a lot to praise here so lets start the review. The game has 3 Story Modes, which are all slight variations of each other. What differs is who Terry, the spirit of unimaginable power, inhabits to start the game. The main story has him go with Goku so I’ll mostly talk about that plot. The world has been overrun by dark copies of all Earth’s greatest fighters and unfortunately the heroes are unable to access their power. This is because someone has activated a machine which is disrupting their Ki. Until they can find a way to fix this problem, the heroes need Terry to possess them and fight on their behalf. Terry is glad to do it, but will he be strong enough to save the world? The mysterious Android 21 is on the loose and she won’t make it easy. Her abilities put her on a whole other level of power. I enjoyed the story and it definitely had a lot of potential. I do think that adding Terry was unnecessary. I like having an original character that you play as when they actually appear like in Sonic Forces. When you never actually see them like in this game then it just feels a little tacked on. It’s not as if taking him out of the game would have actually changed anything. I also do have to criticize the fact that we effectively end up playing the same story 3 times. Each story has around 40 battles so they’re decently long and that could have given the title more time for What Ifs or maybe an adaption of the show. While each story has different details and the last one is implied to be the true story, they all contradict each other so I guess you can decide which story you want to be canon. Whether there was potential lost there or not, it was a fun story to get through. I only have 2 other gripes with it and they’re relatively minor. One is that the cutscenes are constructed in an odd way where some will auto play and others you have to press X to move on. There’s no way to distinguish between most of them so you either have to wait a second to see if it keeps on going or just hit X and risk missing a line. It’s just a rather odd design choice. Especially since some cutscenes take away the X symbol so you know they’ll auto play. Others just keep it in. Finally, they get rid of the cool fighter quotes before each battle in Story Mode which is unfortunate since they’re so fun. I spent most of my time in Story Mode so I didn’t get to see the quotes until later. The gameplay is naturally excellent as it pulls off the 3 on 3 team mechanics rather well. Like most team games, they make sure to scale the damage so you don’t have to worry about getting hit with an endless combo that takes away all your health. You can land combos that last for around 10-15 seconds, but the more hits you do in a row, the less damage they’ll do. An 80 hit combo can potentially deal less damage than a 10 hit one so you want to choose your moves carefully. It’s typically better to mix in a level 1 special attack after a combo than a level 3 as it will actually deal more damage. Of course, it’s always good to keep a Level 3 in the pocket since it grants you temporary invincibility and can be used to block an attack. It’ll be tough for newcomers since there are a lot of cheesy tactics you can pull off like spamming the Kamehameha. It can be difficult to get around that, especially if the opponent knows what he’s doing. Still, there are numerous options and combos at your disposal so as long as you really practice and learn your character you will be fine. Unfortunately the online has been having significant problems so you’ll have too practice as lot against computers as they fix that up. The characters all feel rather unique in their playstyles. Due to the nature of the game a lot of the standard combos may feel the same, but the diversification happens once you start using the specials or learning advanced combos. There is a training mode in the game which is pretty helpful. You can learn a lot of basic combos as well as advanced ones that will help you quite a lot. There is also the classic Arcade Mode which is useful for earning trophies and money. The replay value here is essentially infinite which goes without saying. Unfortunately the developers may have taken that literally as one trophy requires you to earn 20 million zenny. To put that in perspective, I haven’t even earned 1 million yet and I’m only close because of a lot of one time bonuses for beating the stories. Getting to 20 million can end up taking you around 180 hours. You’ll probably play that long in no time without getting bored, but you’ll probably want to be playing online, not grinding a specific story battle for that many times. I likely won’t be getting the Platinum here, but it’s not too crazy. It’s just more of a grind than anything else. The graphics here are top notch. It really does look like an anime as you play through the game. You even adjust the graphics to make the game look like the retro Super Dragon Ball Z. I don’t think I could ever sacrifice the nice HD images though. The final smashes are especially satisfying and likewise with the intros. Goku Black’s is a nice homage to his original appearance in the anime and seeing Goku and Vegeta’s are always classic. This is certainly a game that the developers took a lot of time and patience with to get everything right. I can’t stress enough how every part of the game feels extremely polished. This takes the PS4’s graphics to the limits and will likely hold up well against PS5 games when that console ends up coming out. I also enjoyed the soundtrack although I can’t offer it the same 10 star praise as the graphics. There are some catchy tunes here and they are memorable but overall the music selection isn’t all that large. I may be spoiled from how many themes are in Super Smash though and since the themes are good it’s not like I’ll mind listening to them too often. I’ll barely even hear the music when I’m in the middle of a really intense fight. I just won’t have time to think about it. If I had to mention a small negative, it’s that the character roster is rather small. The size may have been necessary in order to have time to make the game without rushing it, but then I have to question some of the choices. Why is Nappa playable? There are many other villains that I would have gone with instead like Broly, Cooler, or even some of the newer characters like Jiren or Toppo? I’m assuming they added Nappa because they wanted more villains so that’s why I only listed villains here. For heroes I could make the same argument. I understand Krillin making it in and I suppose even Tien, but Yamcha absolutely could have been substituted for someone like Android 17. Android 17 is probably the biggest oversight from the heroes and he definitely deserves to be in the game considering his big role in the story. I may not be thrilled with the roster, but at the same time they have enough good characters to keep me happy. I was pleasantly surprised to have Hit and Goku Black in the game so that was really cool. There are some rumors about which characters will be DLC. 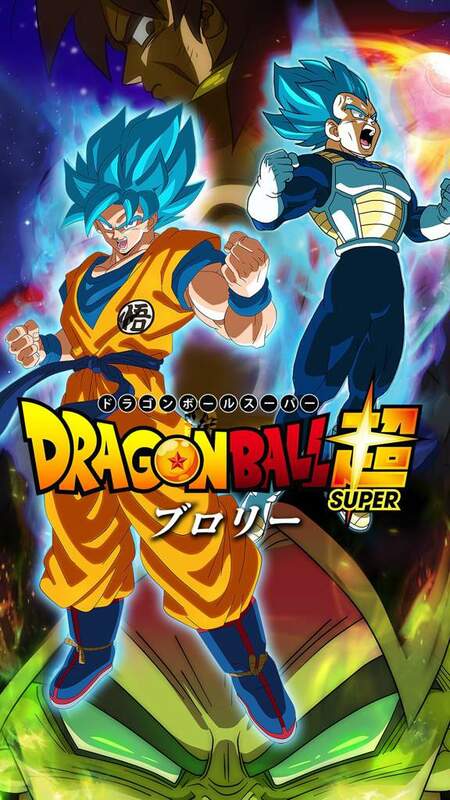 Broly will definitely be super hype. I can’t be as hyped for base Goku and Vegeta, but then at least I can make a triple Vegeta team as well so that’ll be cool I suppose. As for the new Android 21, she’s a pretty cool character. While I’m not crazy about her as a hero, her villain side is easily one of the cooler DBZ villains. She has a great design and her abilities are quite intense as well. The villain theme in the game works perfectly with all of her scenes. She’s deranged enough to make for some intense scenes while not going overboard and losing sight of her goals either. Based on how the game stories end you could make the case that she ends up being Hit or Goku Black level by the end but it depends on just how much you believe the heroes got their full power back. Since this arc likely takes place a little before the final arc of Super, everyone should be crazy strong here. If this game gets a sequel, I’d definitely want the evil 21 to show up again. Overall, Dragon Ball FighterZ lives up to the hype and then some. The gameplay is absolutely phenomenal and this is one of the most polished games I have ever seen. I don’t know how long it was in development but it must have been quite a while to get it to play, sound, and look so good. It’s no exaggeration to say that this is definitely the best fighting game on the PS4 and now I’m even more hyped for the upcoming Cross Tag Battle game. FighterZ is one of those titles that will stay relevant for quite a long time and I look forward to taking on some online opponents at some point in the future. Time to bring out my Triple Goku team! The manga trilogy has finally ended so it’s time for the review. This mini series only got three chapters so it’s pretty short. That’s too bad because the premise just had a whole lot of potential in it. The basic plot is that a kid in the human world is a big fan of Dragon Ball. Unfortunately in the real world he’s just a really unlikable guy who has no redeeming qualities. One day, he decides to fall even lower on the moral totem pole when he falls down a flight of stairs and breaks his neck. It’s surprisingly a happy moment since he felt like the main antagonist. Instead of dying, the kid wakes up as Yamcha in the Dragon Ball series. He must now find a way to become a better character and avoid dying. Since he knows the events in advance he has a real shot here, but can he do it? You can probably see why the premise has potential. There’s so much you can do with this kind of story since you know what is going to happen and can take steps to avoid it. Yamcha may not be able to do much against the final threats like Cell and Buu but even those are things that he can get past if he knows the origins. For Buu, just eliminate Spopovich and the other ally before they can get Gohan. For Cell, attack him in his first form or tell everyone where he is and that should be easy enough. You can escape almost any scenario. The main character actually does do quite a bit of this at first. He trains hard so he is able to actually help against Frieza and the foes before him. He basically gives up on doing this by the Cell arc and decides to just watch which is fine I suppose. He knows he’ll come back to life anyway. You just can’t explore this concept as much as you could have if this was an ongoing series. Additionally, the series throws in the twist of having another human being warped into the series and the lead has to find out who he is. Naturally, this character is evil so they have a fight but the power of being a DBZ fan wins him over. This is all so rushed and unnatural that you have to wonder exactly why it was added. Again, this could be a really interesting concept especially when you find out that if you die you get to retry your time in the universe. It could have been like a Groundhog Day where they explore many different avenues. Instead the whole second human plot is finished in one chapter. The ending was certainly an interesting twist as we at least get a reason why the human got into the world. Unfortunately, even the ending is wrecked as the main character immediately goes back to his old shady ways of being a creep. I thought the whole point was that he was going to learn a lesson…not that he would use his newfound abilities to be even worse in the real world. Really, this manga is only held back by the main character. Otherwise, it’s pretty solid. The art is quite good and really does resemble DBZ at some points. It isn’t as consistent and has some flaws in that respect, but I would say that the art is quite good. It’s certainly a lot better than I would have anticipated from a short title like this one. I wonder how many people even know that this manga exists. Overall, it’s a fun concept but you can only do so much with it. I’d recommend checking it out as many fans have always wanted a fun little alternate universe story like this one. You can even argue that the story could be cannon and wouldn’t make a difference. It would raise a lot of questions of course, but it could work. Hopefully we get more Dragon Ball spinoff mangas. Despite its overwhelming popularity we haven’t gotten as many titles as I’d like. We need to keep it rolling and get the Saiyans in a bunch of different adventures. Just resist the urge to add a human original character to the mix and then we’re golden. If you do add one, just keep in the death from the first chapter without actually bringing him back, now That would be funny. Stop the madness! Is this one of the rare DBZ games that I didn’t own before now? Yes, I finally took the plunge and got the game at long last. It’s a very solid sequel to the last one and the gameplay continues to be quite excellent. Leveling up never feels like a grind here and the game seamlessly throws some of the movies into the plot. It’s all handled very well and while the game is not particularly long, it makes for an enjoyable experience. The game’s plot adapts the Buu arc from DBZ as you’ve probably guessed. If you’ve never watched DBZ before, it involves the world’s strongest heroes coming together to defeat an evil genie. They’ll need team work and a lot of heart in order to win this round. The text boxes do a good job of adapting the whole arc and keeping in enough details to ensure that you still know what is going on the whole time. It’s a good way of blasting through the arc while still knowing enough to bluff your way through a quiz. The gameplay is the same as the two predecessors. It uses an overhead view as you can punch or shoot energy blasts. If you can block, then I’m not sure how as I never bothered. Punching is the way to go here and with each level up you can power up a stat. Go for Strength and ignore everything else. The rest are borderline useless by the end while strength will allow you to one shot all minions. This allows for easy level ups and then you can build up your defense. You can also turn Super Saiyan which gives you extra energy and increases your speed. I didn’t notice it actually amping up the strength of my attacks, but it must have had some kind of effect. The gameplay is easy to pick up and you’ll likely have it mastered in no time. One thing that I’ve always really liked about this series is how easy it is to level up. You can gain 50 levels in a quick 30 minute run and even faster if you’re in the right place. At times, you’ll get a whole level up for each individual minion that you defeat. Considering that they go down like flies, this results in a huge rank up to your characters. It’s quite impressive to be honest and is the single best RPG at the leveling system. It puts titles like FF VII to shame where you’ll have to fight for a very long time to make any kind of head way. I’m still rather sore at that game for making the climax so much work. It’s not so much the difficulty but the fact that if you save in the wrong place…you’re doomed. It’s just going to be game over for you from then on. More on that in another review though. The game holds up really well when it comes to the graphics and the soundtrack. The sprites are all pretty fun and the images that the game uses for the text are unintentionally funny as well. The characters are constantly yelling and panicking throughout which doesn’t always fit the lines, but that’s part of what makes it enjoyable. As for the soundtrack, there are a number of good themes here. One of them is a remix of a rock theme from the anime, but sadly it cut out all of the rock elements which was a little disappointing. DBZ 2 is still the best when it comes to the soundtrack because of the great Cell theme, but the music here will still get you into a nice groove. There isn’t a whole lot for replay value after you beat the game. You can max everyone out and grab a bunch of items, but that won’t buy you all that much time. The fact that there is any post game content is still a plus though. The actual game’s story is roughly 6 hours so maybe you could take it to 10 or so by the time you’re done with everything. You’ll likely be buying this game for a very low price so the time is not bad. Especially when you consider how good the game is. Quality over quantity and all that right? One thing I’d highly recommend is stocking up on food while you can. Save your money for most of the game and then just buy as many Onigiri’s as you can for the final part of the game. I’d also recommend leveling up Vegeta a little since you’ll need him at the end and otherwise it’ll be a little tough to beat Buu. Ideally you want to be at around level 130 or so because then you can finish him quickly. Never use any money to buy equipment since the enemies will all drop a lot of it towards the end of the game. Also, put on the heavy boots and gear to get level ups faster. It makes quite the difference and considering that the game was already easy to level up in…this almost feels criminal. 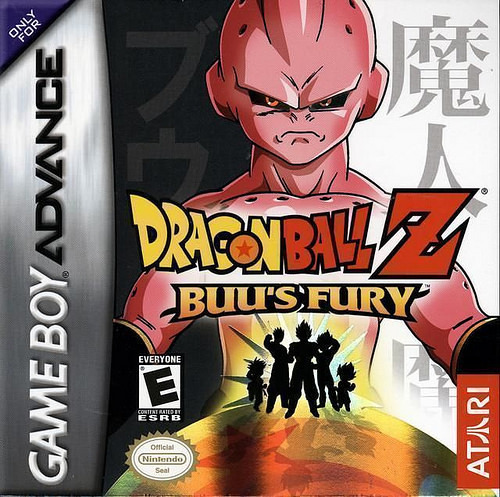 Overall, Dragon Ball Z: Buu’s Fury is a solid way to end the DBZ adaptions for the GBA. It was a really good trilogy and a very underrated one for DBZ. 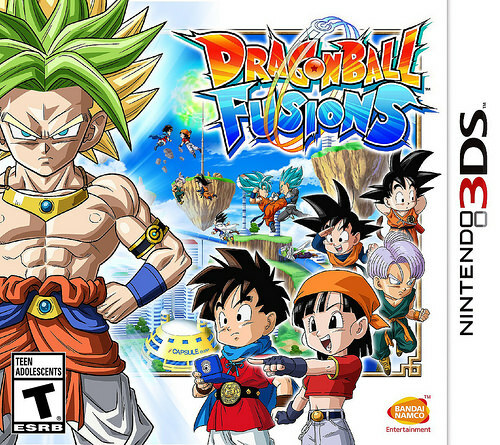 Granted, I’ll still take Budokai and Tenkaichi any day, but this was a great way to play on the portable. The series did everything that it could with the RPG format and I can’t imagine another title taking it out. Maybe if they ever made a big budget DBZ RPG with anime cutscenes and an awesome plot I suppose. For the GBA though, they maxed it out. I highly recommend checking this game out and seeing what you think of it. Now I just need to get the GT GBA game and I’ll have completed that saga of Dragon Ball adaptions. The gameplay shift is a little unfortunate, but I like beat em ups as well so it should be fun. Until then!